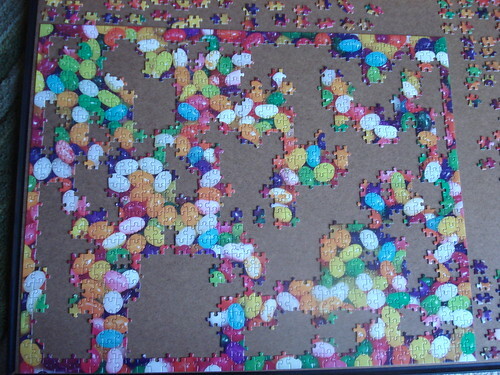 Usually, jigsaw puzzles are completed at the lake during bad weather or close to bed time. 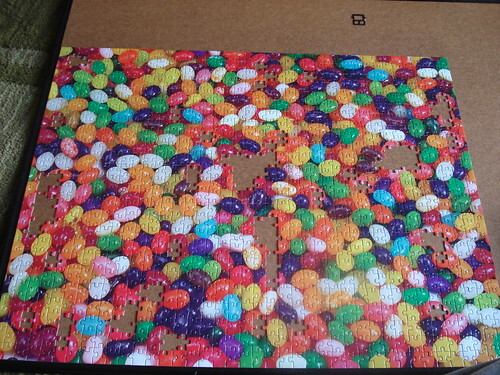 But during a dollar store run this fall, K got me this lovely jelly bean 1000 piece puzzle. I let it stare at me for a few days before I decided it was time to open the box and try it out. I didn’t have a lot of room for a puzzle and I didn’t want to leave it out 24/7, so I improvised with the back of an old framed poster that would slide under the couch. Each attempt was anywhere from 1-2 hours at a time depending on my patience level and how bad my eyes were getting crossed from the colors. 1st attempt on October 19th, the frame. On the subsequent attempts, I tackled it color by color until I was sick of the color and wanted to move on. 2nd attempt. 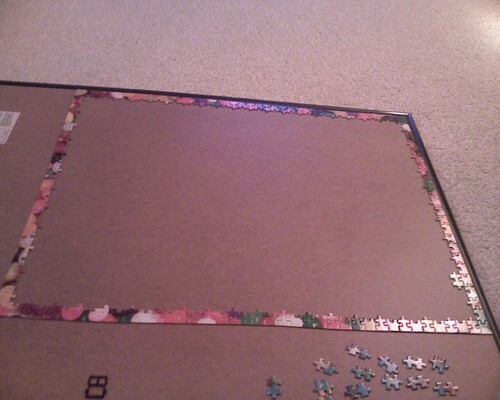 On the 3rd attempt, I was able to start connecting pieces to the frame. 4th attempt, connecting pieces to other pieces! 5th attempt. Stating to come together Clark! Finally finished the puzzle on the 6th attempt over Thanksgiving. I don’t have my laptop with me, so you don’t get to see a picture of the final version but you get the idea and probably don’t care to either. Call me an old maid. Call me a loser. Doesn’t matter. 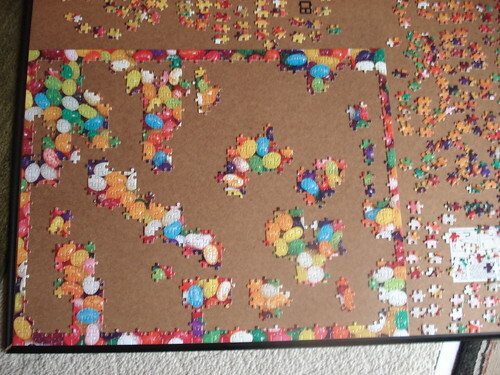 This hobby dates way back to my childhood where my Dad and I would sit up at all hours at a card table in the family room doing 2 sided puzzles while Mom yelled at us to go to bed. 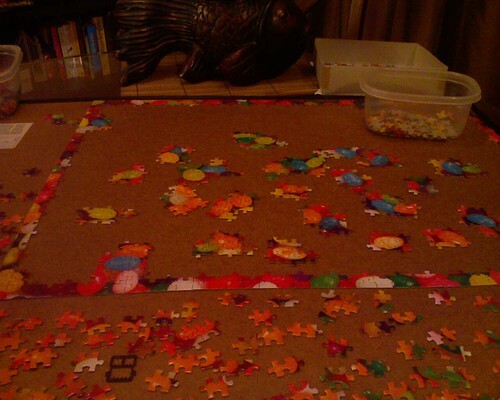 And, I think Dad gets it from his mom, Mimi, who at 91 is still doing 1000 piece puzzles to this day.